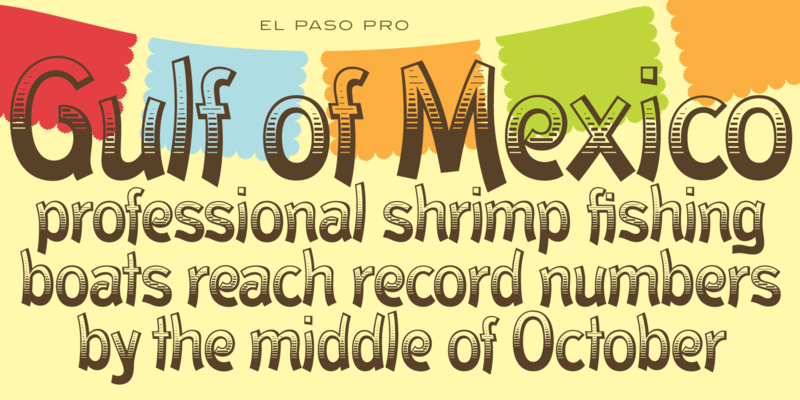 In the 1970s, Face Photosetting, London, was known as the preeminent typesetting house. Steve Jackaman (ITF) worked at Face in the original studios located on Newman Street, and then later at their new location at Hanway Place. 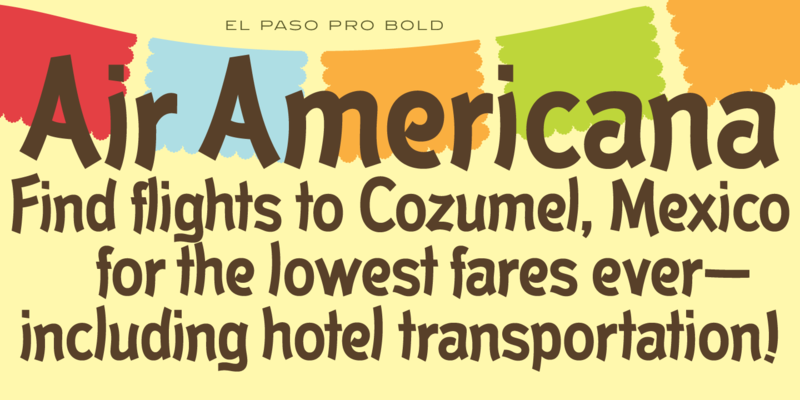 El Paso was a unique single typeface design from the Face archives. 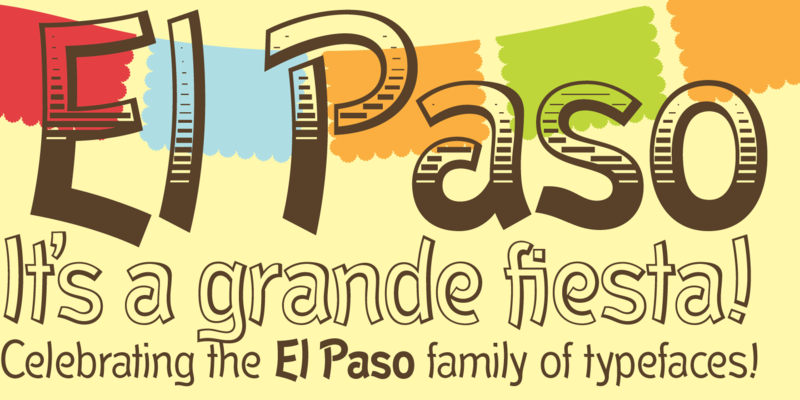 It was redesigned and expanded into a family in 2011 by Steve Jackaman and Ashley Muir. 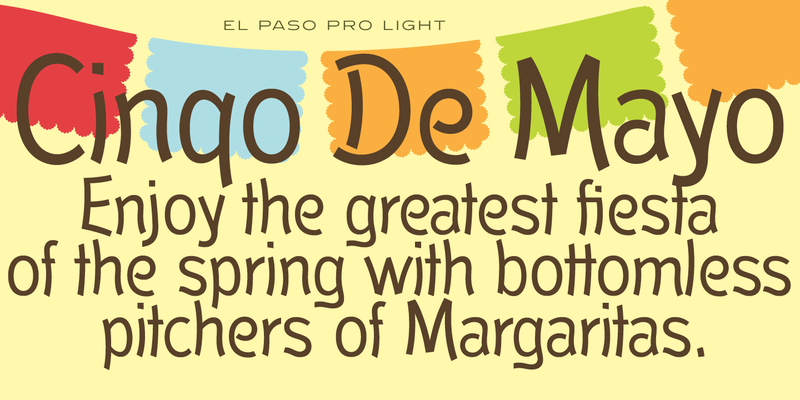 El Paso Pro has a celebratory, south-of-the-border, relaxed feel and parties hard in all sizes. 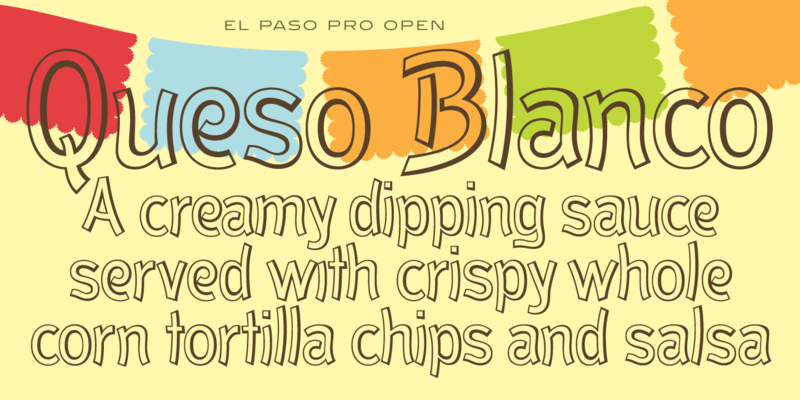 El Paso Pro is a trademark of International TypeFounders, Inc.